Numbers of successful pellet plant projects around the world can prove our strength. So choose GEMCO and you won’t regret. Feel free to contact us for detail information, call for the lasted price and transport cost. Wood pellets are known as the best biomass fuel pellets of high heat value. 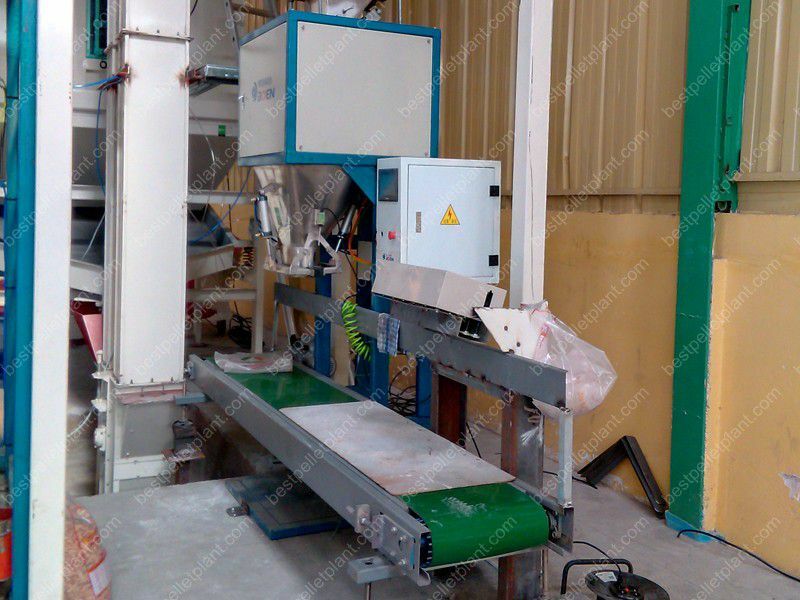 GEMCO wood pellet plant can not only make small wood pellets with different diameter, but also can extrude wood briquettes and block shape wood brick. 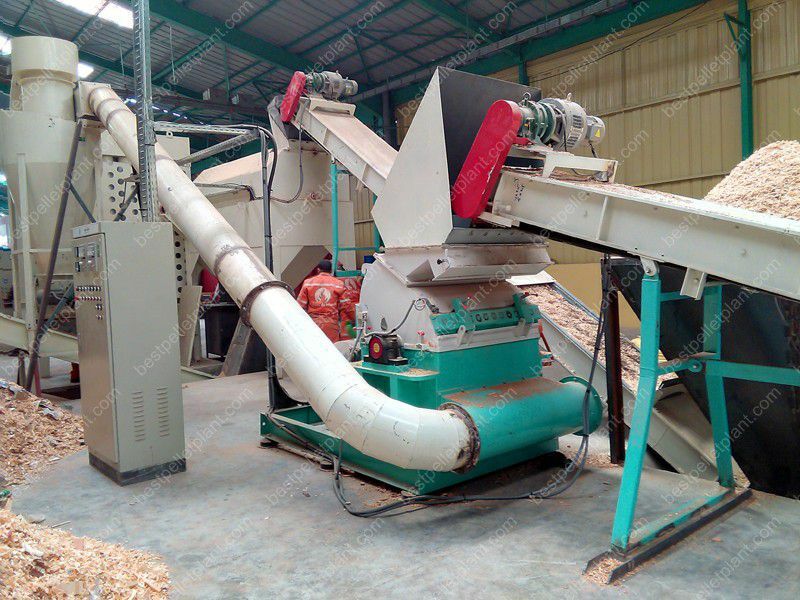 Wood logs, wood chips, sawdust and other wood residues including pine wood are also suitable materials for making briquettes or pellets with this extruding plant. 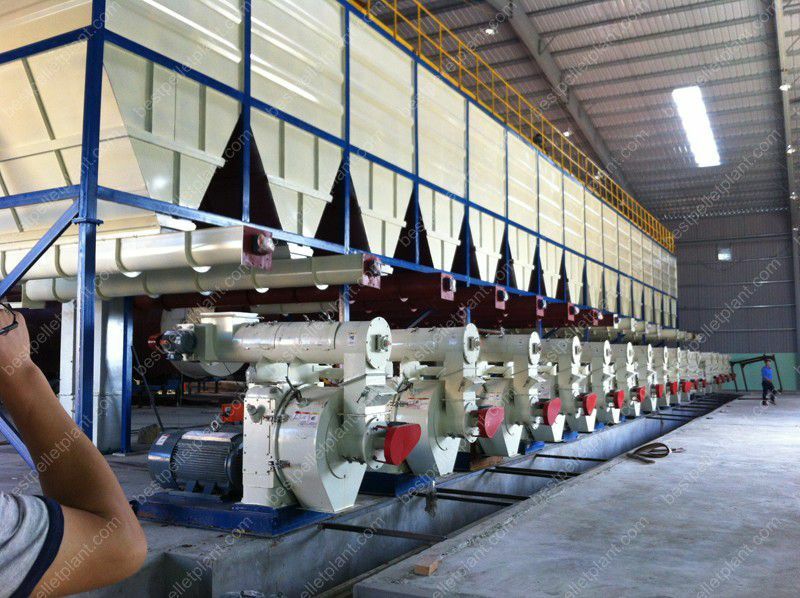 Mostly an integral wood pellet plant is composed of wood chipper/skiving machine, hammer mill, conveyor, dryer, cooler, wood pellet machine and package machine. In fact, except the main pelletizing machine, not all other auxiliary equipment is essential for a pellet plant. You should drop one or two equipment depending on your production scale and make your own customized pellet plan. 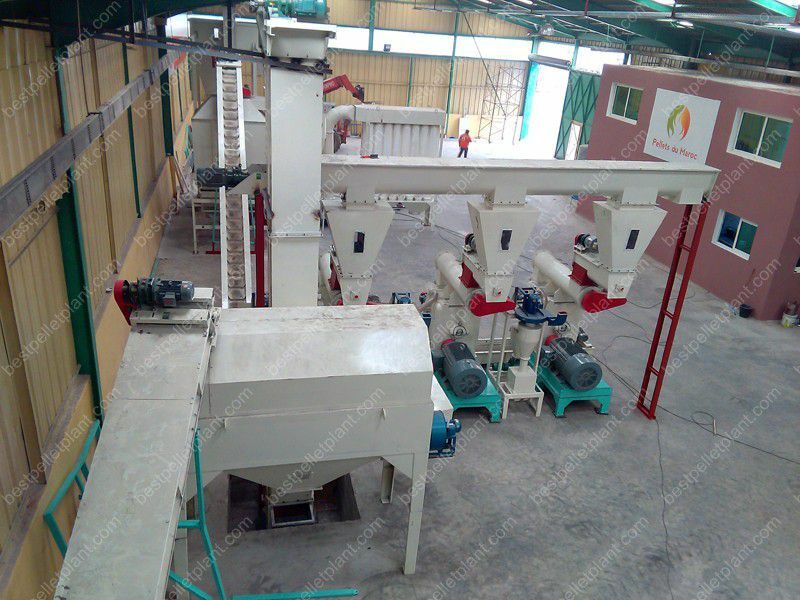 For small pellet production plan, you can drop some kind of process equipment to save money. Firstly, no matter what materials you choose, control the moisture content 8-12%. This is very important for ensuring the smooth of pelleting process and improving the productivity. You’d better not to save cost in this process. Higher moisture content will cause block problem and the iron parts of the machine will easily rust. Lower moisture content will make it hard to be extruded or pelletized. Both higher and lower water content can result in reduction of pellet productivity. If your budget is really limited, you can drop the dryer machine and choose to dry the raw materials in the open air by sun. But his is only suggested for small capacity. 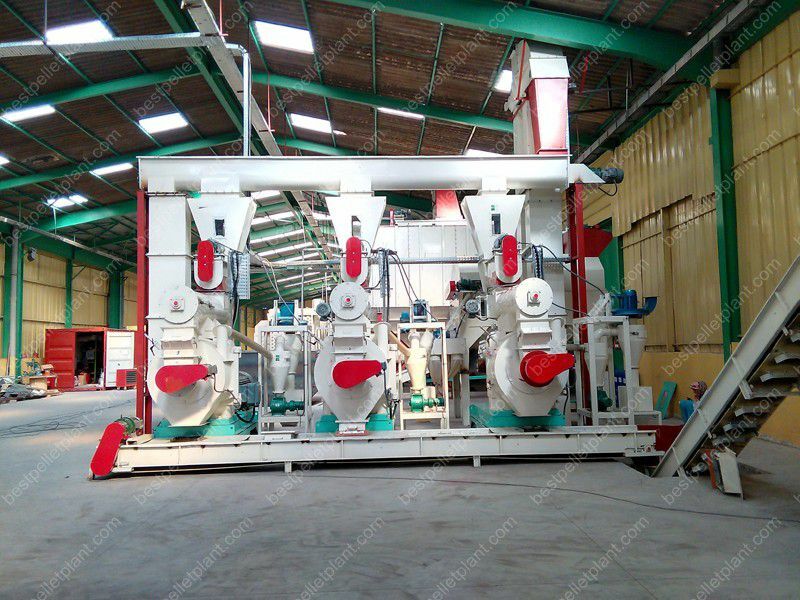 Secondly, buy high quality and reliable wood pellet mill. We all know that wood pellet mill is the key parts of any pellet plant. It is essential in all situations. But high quality ones doesn’t mean expensive ones. GEMCO Wood Pellet Mill is the ideal choose for most customers. We can supply the most cost-effective wood pellet equipment and the price of our equipment is affordable for most customers. For small scale pellets making such as making pellets at home or on farm, you can choose mini or small pellet mill or PTO pellet mill to decrease your budget.